The Department of Information and Communications Technology (DICT) and the National ICT Confederation of the Philippines (NICP), the umbrella organization of information and communications technology (ICT) Councils across the country will jointly launch DigitalCitiesPH Launch during the 9th NICP ICT Summit on November 16 to 17, 2017 in Cagayan de Oro City. 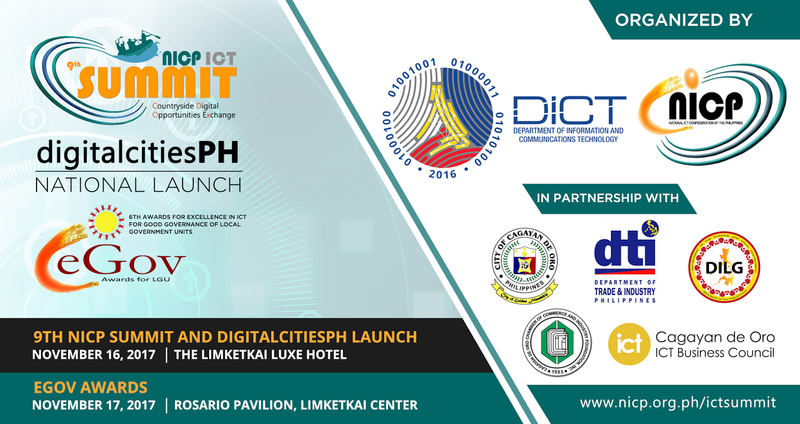 Hosted by the Cagayan de Oro ICT Business Council, this year’s summit proper is set on the first day with the theme, CDOx or Countryside Digital Opportunities Exchange. The second day is the 6th eGov Awards, or Awards for Excellence in ICT for Good Governance for Local Government Units, an annual search for the best practices in local government units. Entries are evaluated according to its relevant utilization of information and communications technology (ICT) to effectively and efficiently deliver its public services directly to its constituents and other stakeholders. The awards ceremony in partnership with the Department of Interior and Local Government (DILG), the Office of Senator Juan Edgardo Angara, chair of the Senate Committee on Local Government and the DICT. 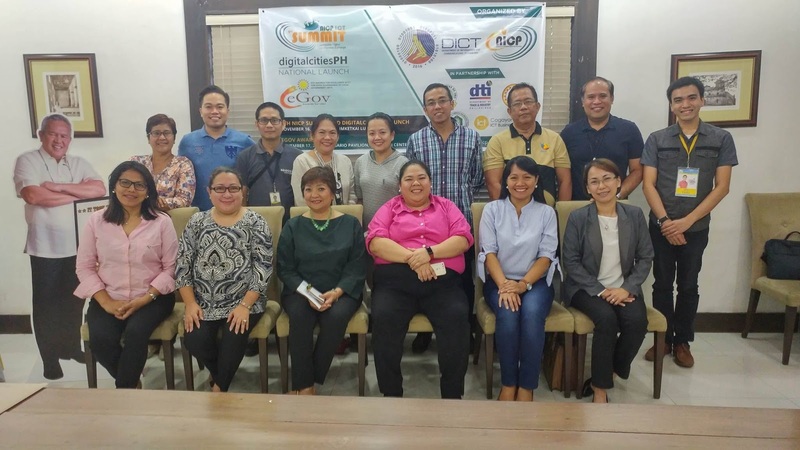 The two-day event is also supported by the Department of Trade and Industry (DTI), the Cagayan de Oro Chamber of Commerce and Industry (OROCHAMBER), the Cagayan de Oro ICT Business Council and the City Government of Cagayan de Oro. The Summit brings together about 700 stakeholders and experts from the public and private stakeholders to share industry trends, developments, best practices, and identify challenges and ways to generate new investments and create jobs, especially in the countryside. This year’s goals are to keep up with the current trends in the global ICT industry, prepare for and embrace the countryside digital opportunities, enable a sustainable ecosystem for tech industry and innovation to flourish, and link people in the countryside to global ICT companies for career opportunities. The key panel topics include enhancing country competitiveness, developing talent development programs, building innovation and startup ecosystem, stepping up to knowledge processes, promoting open governance, understanding disruptive technologies, identifying strategies to attract specific niches to the countryside, and harnessing role of ICT councils.